For the past week I have been craving red meat like crazy. Even when I am sleeping I am dreaming of sinking my teeth into red meat. I do not normally eat red meat, I perfer chicken and pork. So this new craving is very strange to me. Who knows maybe it is a sign of something big! We are after all trying to make a little bear. 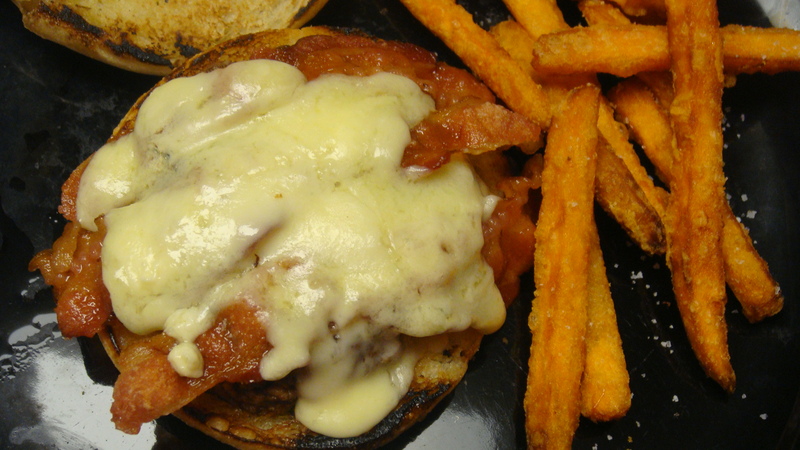 So one night last week I decied to make my own burger at home with sweet potato fries.